While waiting to meet up with some friends yesterday evening, I decided to peruse through the nearby bookstore. Hoping to (maybe) find a couple of solid Christian nonfiction books I didn’t have, I quickly made my way to the “religious books” section. There wasn’t much new or different that was solid doctrinally. 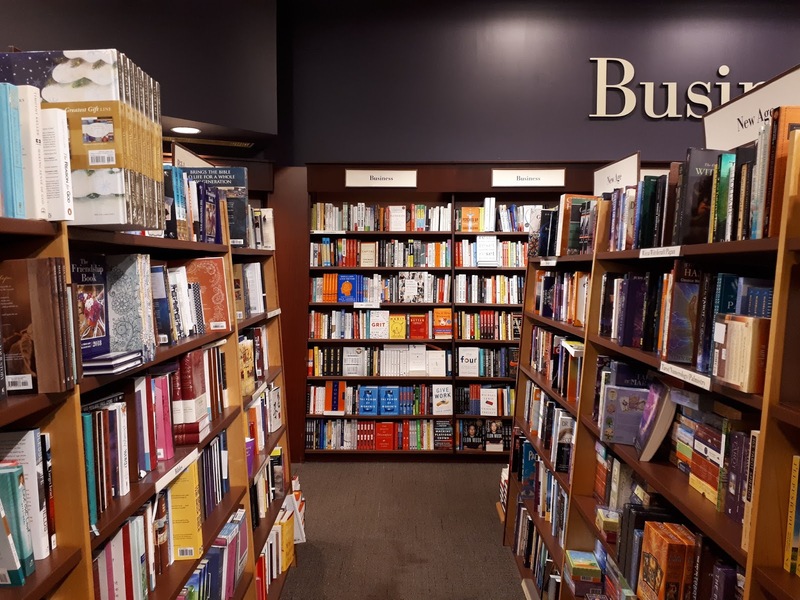 Walk into any secular bookstore, and you will discover that the “Christian” section is a mere few shelves wide. If you take the short amount of time to weed through titles, you’ll find that the number of biblically-sound books are minuscule. When you remove the titles you already have, you may have as many options as you have fingers – on one hand. Yet turn around, and you have shelves upon shelves of New Age, Wicca, Buddhism, Hinduism, Islam, and Scientology. You also have scores of books on Mormonism. Jehovah Witness. Catholicism. Prosperity Gospel. The truth you desire is right at your finger types. We know fundamentally that truth is absolute – there really is no question. But we ignore this, pushing absolute truth aside. The world claims to want truth, but really, what people want is their own interpretation of what is true. Real truth is often uncomfortable. No one wants to be wrong – especially when being wrong and having what you want go together. Truth often convicts and challenges personal preferences and desires. Relativism has a much greater appeal. There is no need to get out of your comfort zone – you choose whatever you would like to be true, and it’ll now become truth for you. The fact is this: people don’t want real truth – they want “feel-goods”. We long to hear words of conformation from others that what we want to believe is what we ought to believe. We see this happen in schools and cults, news and the workplace. We see it in the bookstores. The world will always despise truth, because real truth requires surrendering. This is why books dedicated to actual truth are so uncommon in secular bookstores. Truth means that one thing must be right, and something else – everything else that disagrees – must be wrong. And, if truth is the Gospel message of Christ, there is a lot of surrendering involved. This is why Christianity is so offensive and repulsive: no one wants to surrender, and no one wants to admit to being wrong. If Christianity – if truth – is unwanted at work and school and society, it will be unwanted in books. We are in a war – a war for Truth. The battles are everywhere, but the enemy is especially strong in the bookstores. Christian, what are you going to do about it? To those who can write: will you fight the enemy with your words in submission to Christ and a desire to teach others? To you who read: will you kill the foe by refusing to read what is unbiblical and supporting and encouraging writers who love truth? And to you who neither read nor write: why? Will you stand by silently while the enemy saunters past you, claiming more captives while seeking to deceive you? * Featured article photo by Jamie Taylor from Unsplash. So true. Sadly, Christianity is being kicked out of many things in culture, including books. Indeed. But when Christianity calls us to Truth – truth we often do not want – is it really any surprise?